Although I read Thinking for A Change a few years ago, I would be remiss if I didn’t call attention to it. 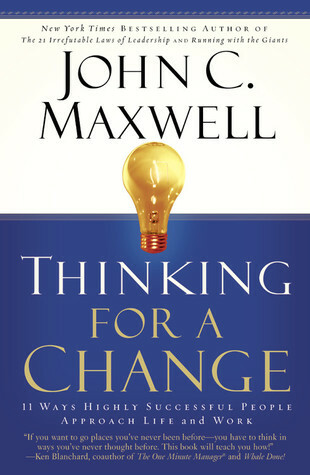 John Maxwell underscores the fact that “successful people think differently than unsuccessful people.” In this book, he offers eleven thinking skills. One of those thinking skills is to embrace the lessons of reflective thinking. This one really hit home with me, because I don’t typically stop to smell the roses. I was always running on auto-pilot moving from one task to the next, but after reading this book I realized that I was missing valuable lessons from one of the greatest teachers—experience.